As a citizen of Bangladesh, we will not forget the genocide, war-crime, and mass killing of the intellectuals (Teachers, Students, Journalists, Doctors, Engineers, Cultural activists) conducted in Bangladesh by Pakistani Army in the name of the religion — Islam. 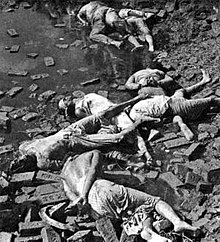 Starting from Operation Searchlight (Conducted in 25th March 1971 where they massacred the unarmed progressive minds of Dhaka University), Pakistani army killed 3 Million people in just 9 months — one of the greatest atrocities on human after the Holocaust. For more information, visit Bangladesh Genocide Archive. My maternal grandfather (who was the headmaster of Rani Brindarani High School, Nilphamary) along with his 10 family members got killed by the Pakistani Army during the Bangladeshi Independence war. Their crime — they were intellectuals. They loved education and loved to be educated. As a young kid, when I first heard this story from my mother, I asked her, “We created a whole country with Pakistani people on the basis of Islam. Pakistani people were Muslims too. Why did they kill us?” My mother replied, “Because they were ignorant and hateful”. I asked her, “They killed all the scholars in our country. How will this country rise again?” My mother said, “We will rise again by embracing knowledge and rejecting hate”. From that day, I am still trying to embrace knowledge and reject hate like a stubborn child. I believe, family members of 3,000,000 people are with me. Read about Martyred Intellectuals Day in Bangladesh. An excerpt from the wiki page just in case that page gets deleted. Martyred Intellectuals Day (Bengali: শহীদ বুদ্ধিজীবী দিবস Shaheed Buddhijibi Dibôsh) is observed on 14 December in Bangladesh to commemorate those intellectuals who were killed by Pakistani forces and their collaborators during the 1971 Liberation War, particularly on 25 March and 14 December 1971. The killings were undertaken with the goal of annihilating the intellectual class of what was then East Pakistan. Two days after the events of 14 December, on 16 December, Bangladesh became independent through the surrender of Pakistani forces. The Bangladesh Liberation War against Pakistan began on 26 March 1971, and grew into the Indo-Pakistani War of 1971, ending with the victory of Bangladesh on 16 December 1971. On 14 December, sensing imminent defeat, Pakistani forces and their local collaborators—Razakar, Al-Badr and Al-Shams—abducted and killed front-line Bengali intellectuals and professionals in order to cripple the new nation intellectually. Renowned academics, teachers, intellectuals, doctors, engineers, journalists, and other eminent personalities were dragged out of their houses, blindfolded, and killed. Their bodies were dumped in Rayerbazar, Mirpur, and other killing grounds in Dhaka just two days ahead of the final victory of the war. In 1971 the Pakistan Army and their local collaborators, most notably the extreme right-wing Islamist militia groups Al-Badr, engaged in the systematic execution of Bengali pro-liberation intellectuals during the Bangladesh liberation war of 1971, a war crime. Intellectuals were killed during the entire duration of the war. The largest number of executions took place on 25 March and 14 December 1971, as it became apparent that Bangladesh would become independent. 14 December is commemorated in Bangladesh as Martyred Intellectuals Day. As the war neared its end, a final effort to wipe off as many intellectuals as possible took place, mostly planned between 12 and 14 December to eliminate the future leaders of the new nation. On 14 December 1971, over 200 of East Pakistan’s intellectuals including professors, journalists, doctors, artists, engineers, and writers were picked up from their homes in Dhaka by the Al-Badr militias and Pakistani Army. Notable novelist Shahidullah Kaiser and playwright Munier Choudhury were among the victims. They were taken blindfolded to torture cells in Mirpur, Mohammadpur, Nakhalpara, Rajarbagh and other locations in different sections of the city. Later they were executed en masse, most notably at Rayerbazar and Mirpur. In memory of the martyred intellectuals, 14 December is mourned in Bangladesh as Shaheed Buddhijibi Dibosh Day of the Martyred Intellectuals. It is widely speculated that the killings of 14 December were orchestrated by Maj Gen Rao Farman Ali. After the liberation of Bangladesh, a list of Bengali intellectuals (most of whom were executed on 14 Dec) was discovered in a page of his diary left behind at the Governor’s House. The existence of such a list was confirmed by Ali himself although he denied the motive of genocide. The same was also confirmed by Altaf Gauhar, a former Pakistani bureaucrat. He mentioned an incident in which Altaf requested Ali to delete a friend’s name from the list and Ali did that in front of him. Is it a Dawn of Islamism in Bangladesh? Islamic militant groups are on the rise. Secularist science writers are getting killed on the road.